Slicing and chopping vegetables and fruits are the key steps in cooking, but it takes time! To make this process easy and fast, there is a tool called slicer. There are various ways of cutting: slicing, dicing, chopping, etc. Nowadays, there is a slicer for every type of cutting. Culinary companies like Ganesh, Prestige and Amiraj all offer different types of slicing equipments. Some are in a convenient package of different blades and some are designated to specific fruits and vegetables. It could get a bit overwhelming knowing what you would be needing in your kitchen. So, in this article, we are introducing how to choose one/ones that suits your life style and cooking. And then, we listed our top 10 best slicers to purchase online. Cooking should be fun, and having good slicers can help a lot! First of all, to find out what type of slicer works for you, you need to know what’s out there. So, here are some tips in how to choose one. There are electric slicers as well as manual slicers on the market. Electric slicers can cut up a lot in a short period of time. However, electric ones are bigger, take much of the kitchen space and take a lot longer to clean up because there are multiple parts. If you are using for home cooking purposes, a manually operated one would work great. It is much cheaper, and because it is usually compact and simple, it’s easier to clean and keep around. One thing to be careful with manually operated ones are the blades. Unlike the electric ones, your hands will get close to the blade. To have stability and speed when slicing, it is important to have width to slicers. If a slicer is small, you have to cut ingredients smaller to fit to it. It takes extra time and effort. On the other hand, the bigger the slicer, more space it takes. Before purchasing one or a set, make sure to know how much space you have in your kitchen. Some products offer a set of different blades that can be compartmentalized fairly well. Depending on the ingredients you want to slice, blades might change. 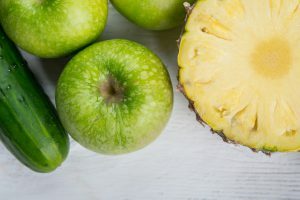 There are blades for boiled eggs, cucumbers and apples to hard fruits like pineapple and coconut. Make sure to check the blade type before clicking that button. What makes slicers last long is how sharp the blade stays for how long. Endurance and rust-free are very important in choosing a slicer. Stainless blades are the most popular ones on the market. However, there are ceramic-type blades as well. These last much longer. Some slicers come as they are, but some are in a package with extra blades and function. So, if you want more than one way of slicing, choose a packaged one or has an extra function. Some set packages offer different sized blades. It all depends on how thick you want, but having two different types help a lot in a kitchen for cooked and raw vegetable usage. And depending on what types of vegetables you want to slice, the thickness should be different as well. When you think of a grater, you might think of cheese and such. But having grating blade can widen your cooking. 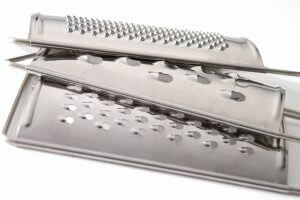 Some set packages have different types of grating blades. If you want to try different ways of slicing and cutting ingredients, this type is recommended. So, now we are listing our top 10 best slicers to buy online. We included ones that are made for specific food as well as ones that include multiple blade types. Hope you will find the one that suits your culinary style and kitchen. Have you tried to cut a boiled egg with a knife? It is NOT easy and gets rather messy. This slicer from Famous will make this process easy and clean. The cut egg slice will be about 0.5 cm. It is perfect for egg sandwiches and egg salad. The clean up is fairly simple. The key is to soak it in water right away and not leave it in the air for too long after the usage. 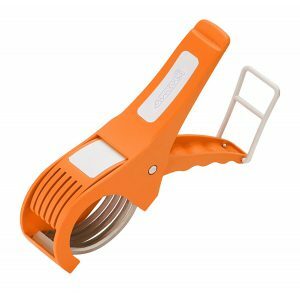 This egg slicer is perfect for someone who loves boiled eggs or pickled eggs. And it does not take much space of your kitchen! 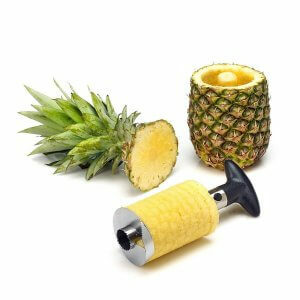 Cutting a pineapple can be a challenge. The skin is pretty tough, and cutting enough of the outer skin isn’t easy. And by the time you are done, the juice is everywhere. This cutter by Vmoni cuts out the fruit part in no time. It does require a bit of force, but easy enough for any adult to use it. And the shape is simple, and size is 25cm in length and 8.4cm in width. It will not take much of your kitchen space. And the best thing about it is the price. It is affordable, so you won’t feel bad about spending money on a slicer specific to one fruit. 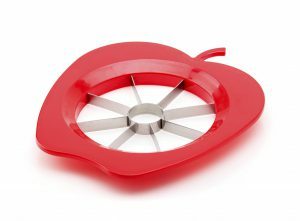 This apple cutter from Tosmy is great for parents who want to prepare a snack for kids. It cuts apple into eight pieces quickly without any fuss. 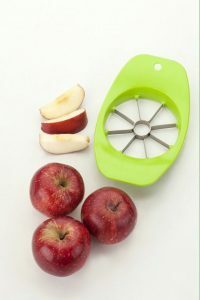 The blade is sharp enough to cut apples smoothly, but not so much that you need to worry about cutting your fingers. It is not for children’s use, and needs to be washed manually. But it is a great piece of cutter to have at home. The size is small, and there is a hole on one side so you can hang it to avoid taking up the kitchen space. With this price, having it is a must if you are an apple lover! Coconut is essential in making coconut rice or curry. And fresh coconut water is also great for hydrating your body. But getting the coconut white is bit of a task. This equipment will change that. It scrapes coconut white with ease, having the vacuum base fixed to your table sturdy. 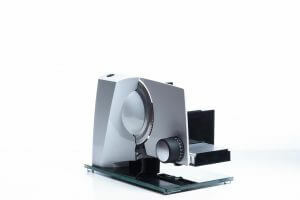 It is light for the sturdiness, and the price is great for this type of cutter. If you want to make curry with fresh coconut, not using a canned milk, then this is a great equipment to have. It is not too small, but it might be worth the space. 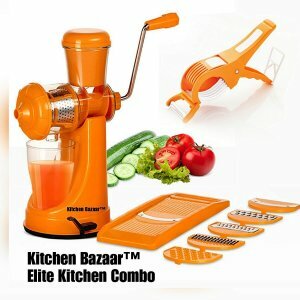 This is a combo package from Kitchen Bazaar you can use to slice, grate, juice almost all kinds of vegetable. And they are easy to use. And this combo is special because it comes with a juicer. 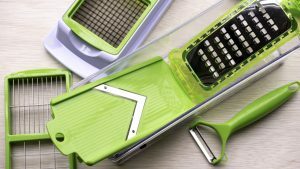 It comes with six exchangeable blade parts that are easy to wash. Two slicer blades, thin and thick, and shredders and graters. It also comes with a peeler with multiple purpose. There are four different colors: orange, green, yellow and pink. You will find the color that suits your kitchen for sure. If you want a juicer as well as slicers, this is it. This slicer from Amiraj is perfect for everybody. For a kitchen beginner who can’t handle a knife too well to an experienced chef trying to cut some preparation time. There is a locking device at the end, which makes it more compact in size. The best thing about it is you don’t have to use a chopping board when using this. You can simply slice a piece of vegetable like a pair of scissors. And if you don’t want to touch hot pepper when cutting this is great as well. If you have a small kitchen and don’t want to take up much space, this is a great kitchenware to have. And the price is good too! When you start to cook more for a larger family, having a food processor can change a lot. It cuts time in chopping, and you can do it all at once. But having an electric one takes up too much space and is expensive. 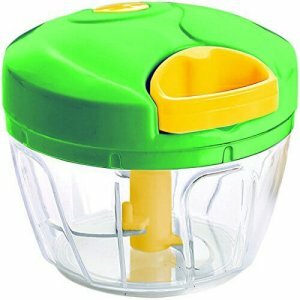 Well, this manual food processor from Wonderchef is great for someone who need one without paying too much. 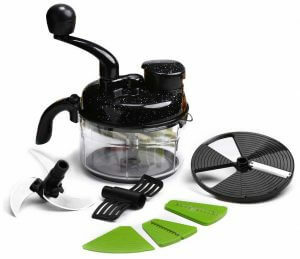 It has dual speed that you can use for cutting, mincing and slicing. And the best thing about it is you can avoid a scary accident that electric one poses. 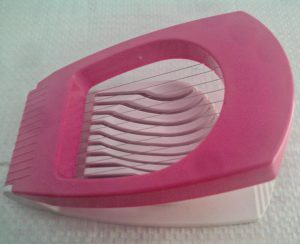 It is easy to use and safe as long as you are careful with the blade when washing. Who doesn’t want this. 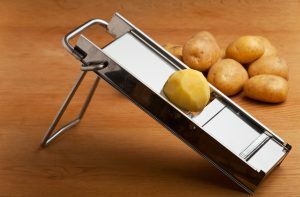 This popular tool from Ganesh can cut up lots of vegetables from potatoes to cucumber. 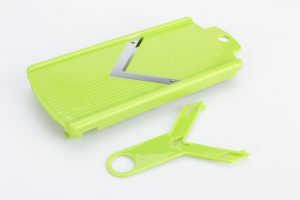 With an easy one push, two types of blades can cut up into small pieces. It has a plastic scraping tool to clean after cutting. And it is dishwasher friendly, so easy to clean after using it. And the size is compact so that it does not take up much of the kitchen space. 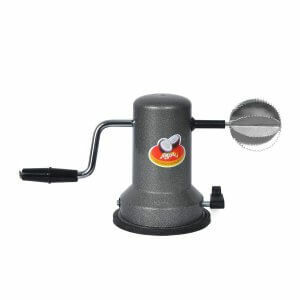 This is an easy to use utter that is perfect for someone with large family. For a simple curry recipe, you can cut up all the vegetables using this. 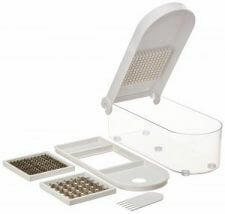 This easy to use manual vegetable cutter/slicer from Prestige can function like a food processor. It comes in three different sizes so that you can choose one according to your lifestyle. After placing some roughly cut vegetable/fruits, you pull a string to spin the blade to cut them. Depending on how many times you pull the string, you can control the size of the cut. And pulling the string is so easy a child can do it. If you are looking for a manual food processor like equipment that can cut into pieces in sizes from large chunks to mince, this is the one for you. This very popular and great package from Ganesh can do almost all types of cutting and slicing you can imagine. 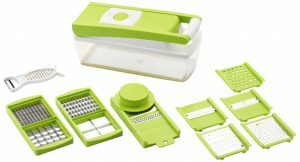 It contains two slicer blades, graders, and peeler as well as dicer blades. 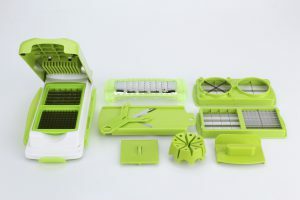 What is great about this product is not only it comes with multiple blades, the detachable container can be used as a storage for cut vegetables to keep them in a fridge. And they are dishwasher friendly and easy to clean. So, with this low price, there is nothing one can argue. It is almost a must have for everyone from a beginner to a skilled cook. One of the things you need to be careful about using a manual slicer is the blade. To have an easy slice of a hard vegetable like potatoes and such, the blade has to be sharp enough. To avoid an accident, there are a couple of tips. There are slicers that come with a safety holder, but ones that are on the list do not. So, if you are not used to using a slicer, it is best if you order a safety holder separately. It protects your fingers by holding a piece firm. Once the vegetable or fruit you are cutting gets less than a few centimeters, you need to be extra careful. Depending on the strength you put in slicing or the firmness of vegetable, it slices faster than others. It is best to avoid slicing once it gets smaller. 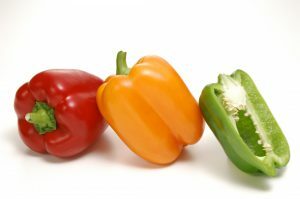 In general, vegetables are cut or sliced best in line with the fiber. However, depending on how you place a vegetable to a slicer, you can have different effect. It is all up to what you are aiming to make. So, let’s look at a few basic vegetables. 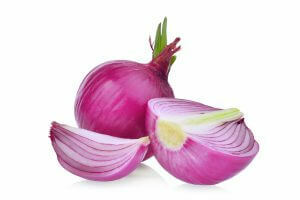 The result of slicing an onion can differ depending on how you place it on a slicer. If you put a cut side to a slicer, you will have crescent slices. And if you place the round side (the other side of the cut one) then you will have finer/thinner strips. If you want to slice carrot into a very thin strips, but don’t have the blade for it, you can cut carrot into smaller pieces. And then, holding them together, you can slice them into strips. In doing this, you have to hold the pieces to avoid cutting fingers. 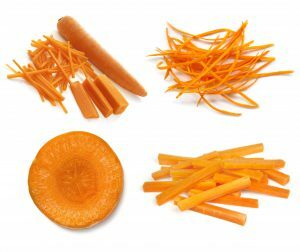 And if you use a peeler, you can slice carrot into a noodle-like strips. This is a fun way of cutting a carrot. 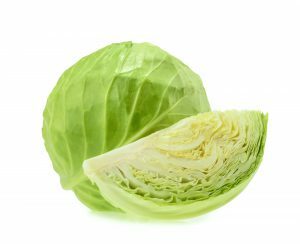 If you are using a slicer to cut up cabbage, the key is not to put too much pressure when doing so. Imagine having air between cabbage and a blade. That is how you cut a fluffy fine pieces. And when cutting cabbage into small pieces, keeping the core is important. If it does not have the core, then leaves tend to loosen up, leading to an accident. Having a meat slicer can make your cooking level go up a notch. You can purchase a good but cheap chunk of meat or ham and slice them according to your needs. If you are doing this, start with a frozen chunk of meat. You will get the hang of it. How was it? So, there are different types of vegetable and fruit slicers and cutters. Some comes for a specific purpose, and some for multiple. There isn’t it product. It all depends on your cooking style and lifestyle. We hope reading some of the tops in this article and the list helped you. Have a great cooking!